The Inca Jungle Trail to Machu Picchu is a popular alternative route where you can not only go trekking, but also biking, zip lining, and rafting while enjoying the great views, an original Inca Trail, and fruit and coffee plantations! On our first day of our Inca Jungle Trail we'll start buy picking everyone from their hotels at around 7:00 in the morning and leaving Cusco for Abra Malaga at 4350 meters altitude. We'll start the Inca Jungle Trail 5 minutes down from Abra Malaga, stepping on our bikes and going downhill for 3 to 4 hours, passing by coffee plantations and fruit trees filled with oranges and mangos, with changing climates as you descend. We'll end our ride in Huamanmarca and take our transportation to Santa Maria at 1250 meters, about 15 minutes away. We'll have lunch in Santa Maria in a local restaurant. 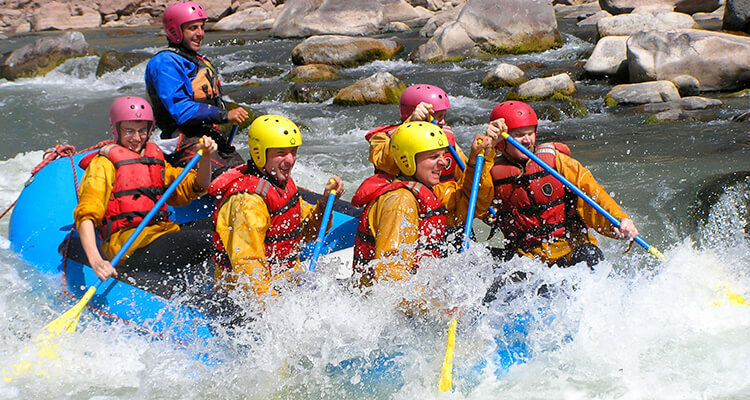 In the afternoon we'll take a ride to the Vilcanota River where we'll go rafting! 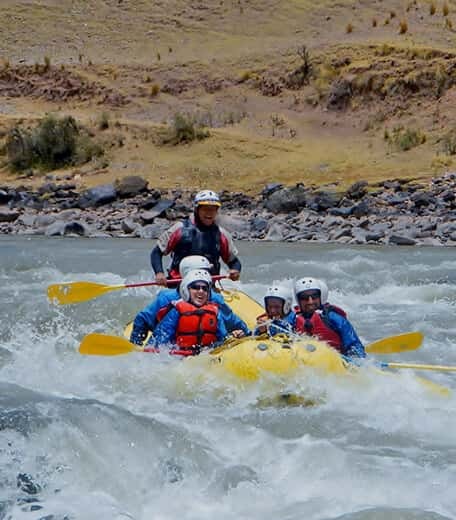 This part is a lower level rafting experience so everyone will be able to do this, but definitely one of the most exciting parts of our Inca Jungle Trail! We'll return later in the afternoon for dinner at a local restaurant and stay overnight in a small local family lodging. Today we'll start our day with breakfast at around 7:00am before hiking the Inca Jungle Trail. This will likely be one of your harder days along the Inca Jungle Trail since we'll be hiking for 7 to 8 hours today! We'll start our hike by leaving Santa Maria which is at 1250 meters and hiking along a part which is along the local road then an hour up an original Inca trail which is at 1750 meters, giving us great views of the area. We'll pass by parts of the jungle, coffee and coca leaf plantations and around 4 to 4 ½ hours into our trek, we'll arrive in the small community of Qellomayowhere we'll have lunch. On our third day of the Inca Jungle Trail, after an early breakfast, we'll take a car/bus to a zip line camp of “Cola de Mono” about 20 minutes away. 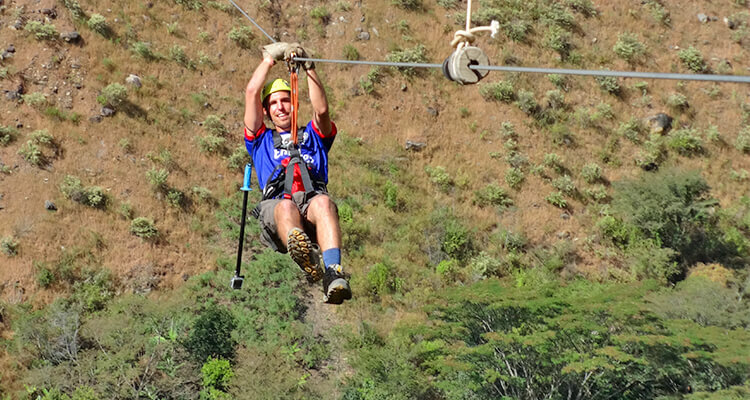 We'll be able to zipline for about 2 hours across the valley, crossing it from mountain to mountain for a thrilling adventure! 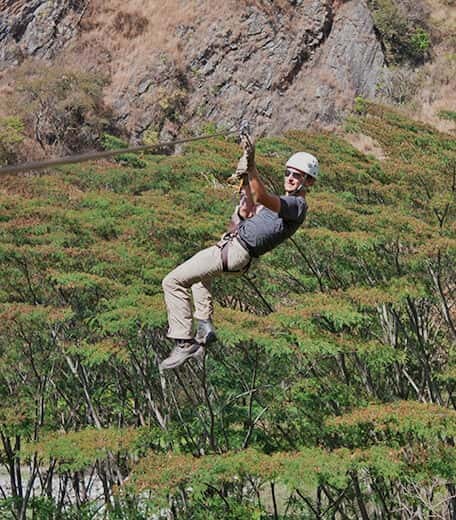 After this exciting thrill ride part of our Inca Jungle Trail experience, we'll take a ride to Hidroelectrica where we'll enjoy a lunch made with local foods. After lunch we'll hike along the railroad tracks from Hidroelectrica to Aguas Calientes which is at 2000 meters and also known as Machu Picchu Town. This part of the trek is only about 10 KM and along a relatively flat terrain. 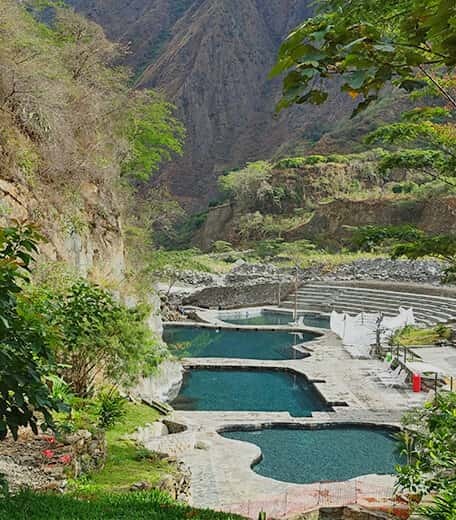 When we arrive in Aguas Calientes we'll go to our hotel to relax a little before our dinner. We'll stay overnight in a hotel, enjoying a hot shower after our trek today and to get a good night's sleep for our visit to Machu Picchu tomorrow! Today will be our final day of our Inca Jungle Trail since we'll be visiting Machu Picchu today! We'll wake up around 4:00am and have breakfast before heading out to hike up to Machu Picchu. The hike up will be long a zig zag path uphill and should take about an hour and a half. Remember to bring your passport which matches your Machu Picchuentrance ticket as well as your ISIC (International Student Identification Card) if you booked with a student discount. When we enter, our guide will give us a tour of the main areas of this ancient city which will take about 2 hours. 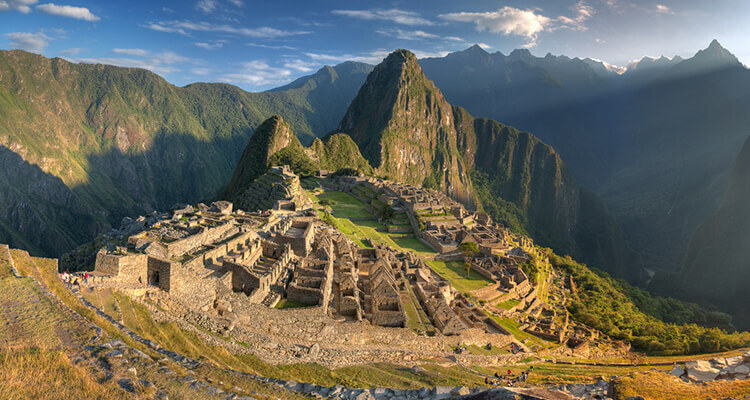 Afterwards we'll have time to roam around Machu Picchu on our own to discover the enigmatic energy which comes from this Inca city. 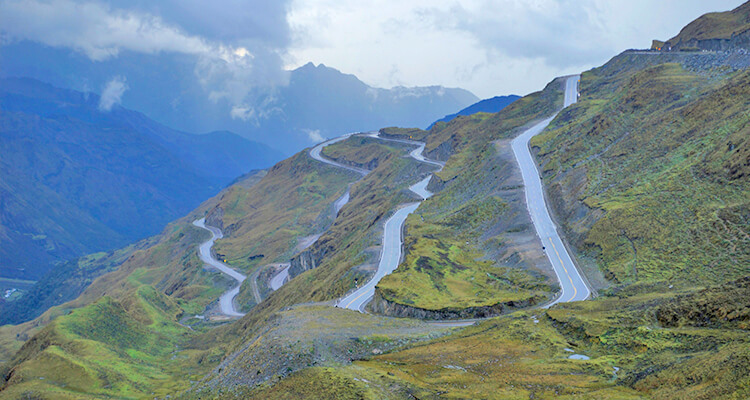 When you've walked around, taken pictures and enjoyed the view of the surrounding valley and mountains as well, you can take a bus down to Aguas Calientes. If you've given yourself enough time, you can have lunch or buy snacks for your trip back to Cusco. You'll take the Expedition train to Ollantaytambo in the late afternoon and once there, we'll pick you up and drive you back to Cusco. Cusco – Abra Malaga – Santa Maria – Santa Teresa - Hidroelectrica – Aguas Calientes.